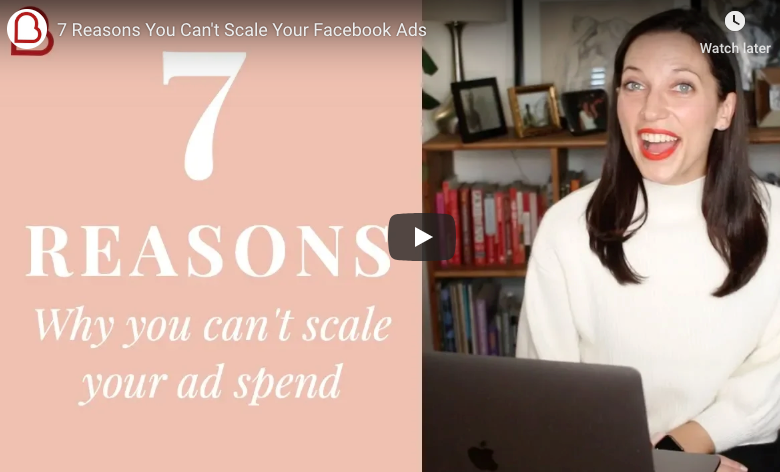 SaaS Facebook Ad Tear Down: Optimizely, Intercom..
Facebook ads and retargeting are a fast growing user acquisition channel for many software companies. The targeting options: target recent site visitors, by industry, by title, age and more. It’s where people are spending time. Either for a brain break or doing actual work on Facebook like page management. They are trackable and you can easily determine if the ROI is there. In this post I break down, critique and analyze the Facebook ads of 5 different software companies. 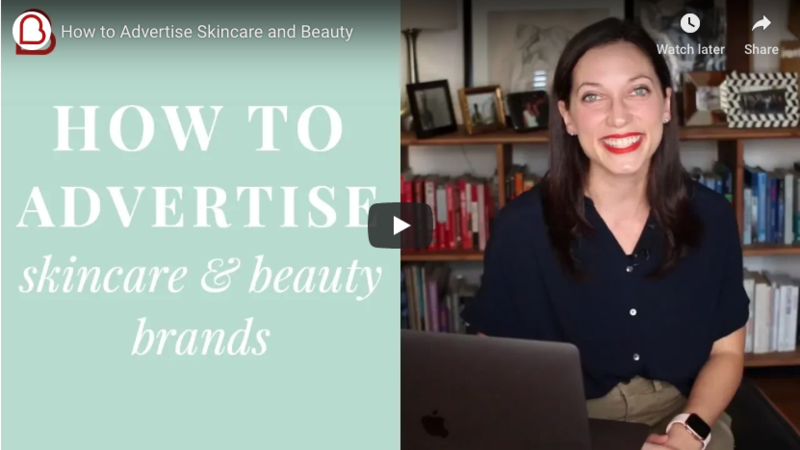 If you own or work for a software company already running ads, it will help you evaluate your current ads and potentially make some high performing changes. If you don’t have any ads up and running yet, use this as a great starting point and inspiration for getting started. 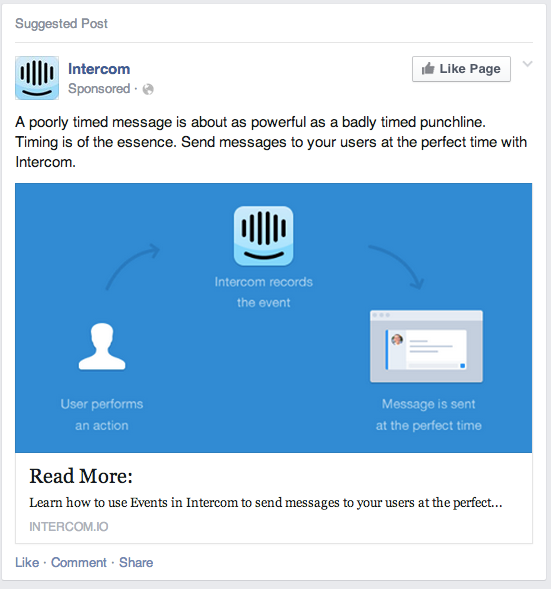 Intercom is a SaaS application for other SaaS apps that helps them serve better transactional email and in-app messages at the right time. I like the personality in the first sentence. The copy is too vague though. I’d recommend giving an example of a use case. The image is good, nice and simple and easy to follow. You don’t see many illustrations used in Facebook ads or posts so I’d be curious to see what the CTR is of this illustration versus an image. But again the image is too vague and should give an example of a use case. 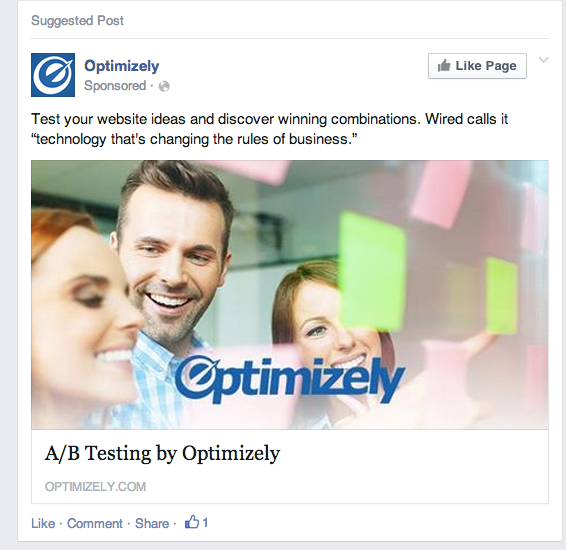 Optimizely is an A/B testing software for websites and mobile apps. First thoughts are that the image is kind of cheesy. I don’t mind cheesy if it converts though. For the copy, I’d recommend tieing it more to the benefit. So instead of “discover winning combinations,” it would be “Get 10% more leads from your current web traffic.” It’s not clear how winning combinations impact my business. But it’s easy to understand how beneficial a 10% bump in leads is. Baremetrics is an analytics software for Stripe users. They’ve made a name for themselves with their transparency. Want to see their Stripe analytics: just go here to see all of their numbers in real time. My first thought is that the image is definitely over the 20% text rule. Only 20% of a Facebook image can be filled with text. So I’m not sure how they got away with this image. For the copy, I like the “Seriously.” at the end and think it actually adds a lot to the ad. It conveys the tone of the brand and with one word counters objections going through prospects head as they read the copy. This is REALLY hard to do in such a small space but they do a good job. Along with objections, another thing this ad does well is tie in the conversation already happening in the prospects head around what they want. Actionable is a big word with this audience. 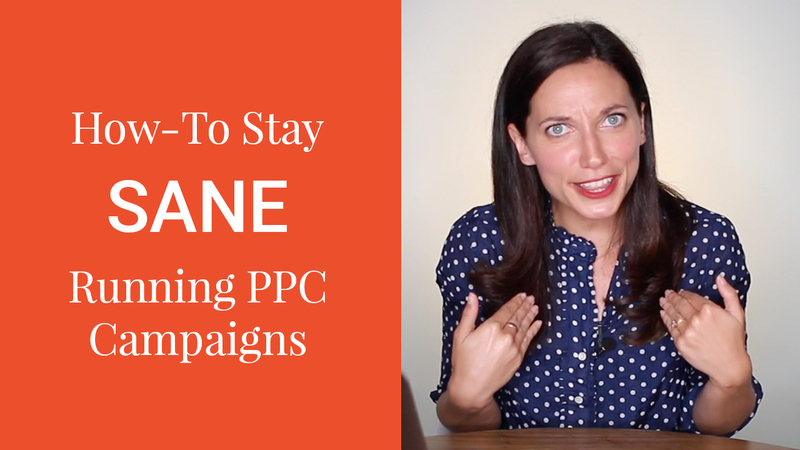 They want blog posts with actionable takeaways. They typically go to conferences to hear speakers with actionable advice, not inspiration. Drip is a marketing automation tool from Rob Walling. I haven’t used it but I imagine it like an easier to use Infusionsoft. The image doesn’t give me a good idea of what the product is. It looks like a different kind of Google Analytics from the image. For the copy, “Free for 21 days” is good. Free + specific time frame is definitely something to try in your ads. “Future of autoresponders” not so great. Why the future? Whats my pain? Why should I switch from what I’m currently using? Update: Rob Walling was nice of enough to respond on Twitter with his thoughts on the above and some insights into his campaigns. @benphila Thx. Lots to respond to your re-write, but the short answer is the word “leads” doesn’t work with most demographics I’ve tested. @benphila Re: the image – I’ve tested the crap out of this one 🙂 Screenshots of the app don’t work. This one (and variations) have. Qualaroo used to be KissInsights which was owned by Neil Patel and Hiten Shah. It allows you to have small pop-in windows at the bottom of your site that poll, survey or ask questions of your visitors in order to learn more about them, see what confuses them about the site or see how you can help them. The image of the ad is completely unrelated to the product. That’s not a bad thing if it’s converting. For the copy: “Create & Target Prompts to Visitors” does a pretty good job explaining the product succinctly. And “Drive faster growth” does a good job tieing the feature to a benefit. “Get more customer feedback” instead of “drive faster growth” would be something to test out. “Try it free” is a good start but should add the time limit of the trial like in the Drip ad above. 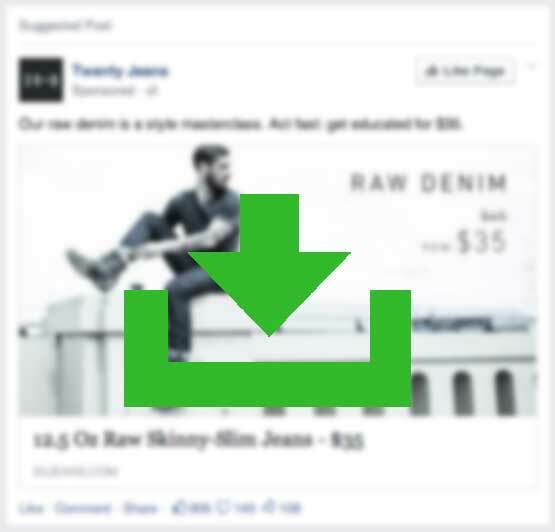 Want to see dozens more Facebook ad examples from other software companies and different industries? Download my Facebook ad swipe file for inspiration when creating your ads.